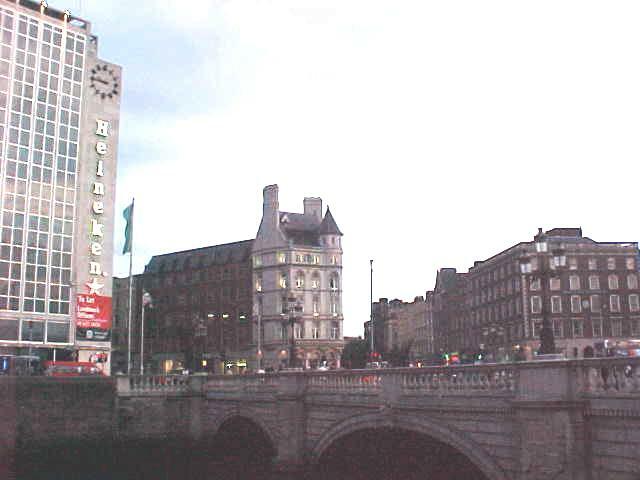 Hey, back to Dublin again? Hey Ramon, Wassup? Today I had to wake up at 8.15am to clear my throat. At 8.30 I would get a phonecall from a producer of the Gerry Ryan Show, the most popular radioshow on the Irish radiostation Radio 2FM. When he called, the appointment was set for the live radio interview at 11.30am. 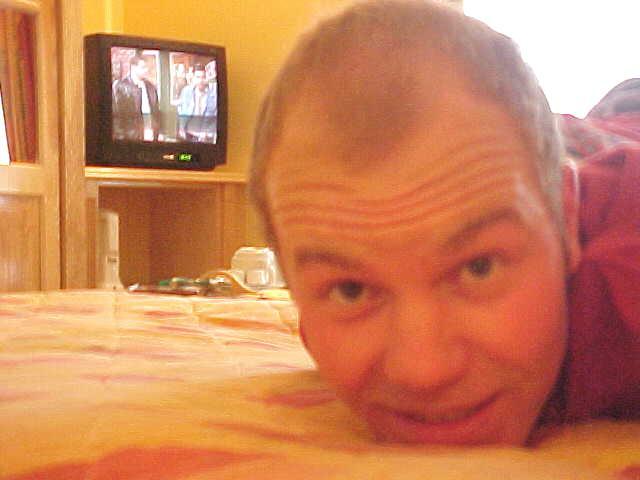 That was good and I rested my head on the pillow again. Alan had to go to his work around 9.30am and he said goodbye when he was leaving. I thanked him for letting me stay here for so long and for letting me sleep in today (again). It was fine with him, he had an enjoyable time. And my breakfast was standing ready on the table. But it was all to gain some more invitations from Ireland, so than such a popular show must do good! After I woke up Shamus in the living room (he sleeps on the couch), I had some cereals for breakfast (Shamus starts up his Playstation and settles himself). At 2.45pm my train would leave and take me back to Dublin again. This time the ticket was paid by the Irish television channel TV3. They badly wanted to have me as a guest in tomorrows' "Breakfast Show" and arranged everything, just like the day I flew to Vienna (see reports index). 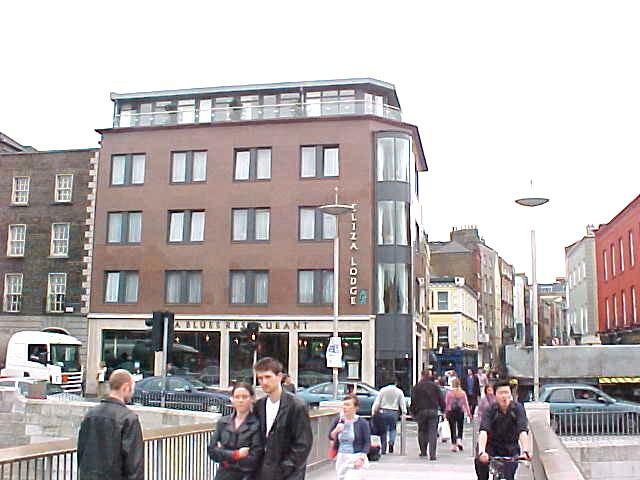 When I arrived at Heuston Station again (hey, the Guinnes Storehouse again? 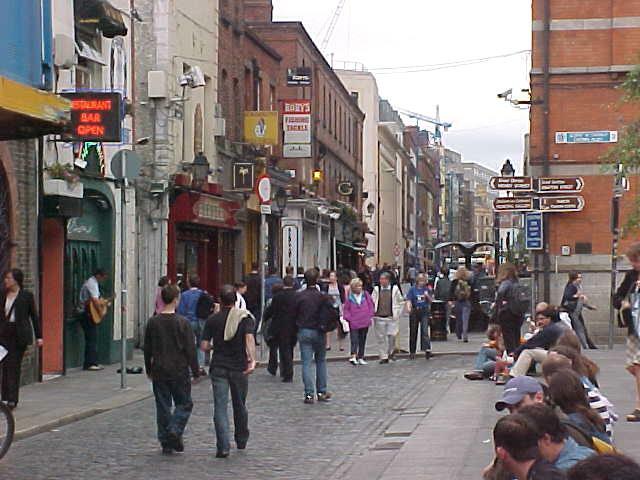 ), I got on Bus 90 to the city centre and got of at Temple Bar - Dublin's lively Cultural Quarter. Time to hit the city tonight!